A collection of earth-centered meditations to enhance our connection to the natural world. 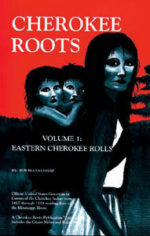 Reveals the Old Wisdom of the Cherokee elders for living in harmony with all beings. As a boy, J. T. Garrett, of the Eastern Band of Cherokee, sat beside his grandfather and the other medicine men of his tribe as they chanted and drummed the stories of his ancestry. From those stories of Nu-Dah (the Sun), Grandmother Moon, Spring Rain, and Little Eagle comes this collection of active meditations for reconnecting with the natural intelligence that is our birthright. Recognizing that we are all kin in the Universal Circle of life opens us to communication with all beings, bringing us back to our natural spirit selves. If we listen carefully to the Cherokee stories of the Old Ways we can gain understanding of lost social and spiritual traditions that can help ensure a thriving future.